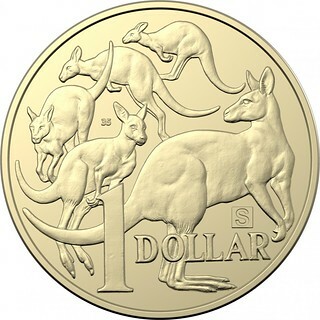 The Royal Australian Mint has released a limited amount of 3 different 2019-dated 1 dollar coins into circulation. The coins were issued for the 35th anniversary of Australia's 1 dollar coin. The coins, which have the normal 1 dollar design, have the number 35 on them as well as respectively the letter A, U or S. The mint has launched a coin hunt. People who have found all 3 coins can enter the competition on https://www.dollardiscovery.com.au/. The first 50,000 people to enter the competition receive a free coin collection folder. Thousands of people will receive prizes. Furthermore one winner of each state will be chosen who will be invited to mint a 1 kilo silver coin at the mint which they may keep. The coins have the fourth portrait by Ian Rank-Broadley on the obverse. The A, U and S are just the letters of the normal abbreviation of Australia (Aus, as opposed to Austria’s Aut) - no other meaning? There is indeed no other meaning. A bit over a million of each will be produced so they're not common in change (I haven't found any). ebay is the easiest route. A family member found one with the S which I thought they were lucky to do.